Most Bhutanese dishes are rich and spicy with a lot of cheese and chili. 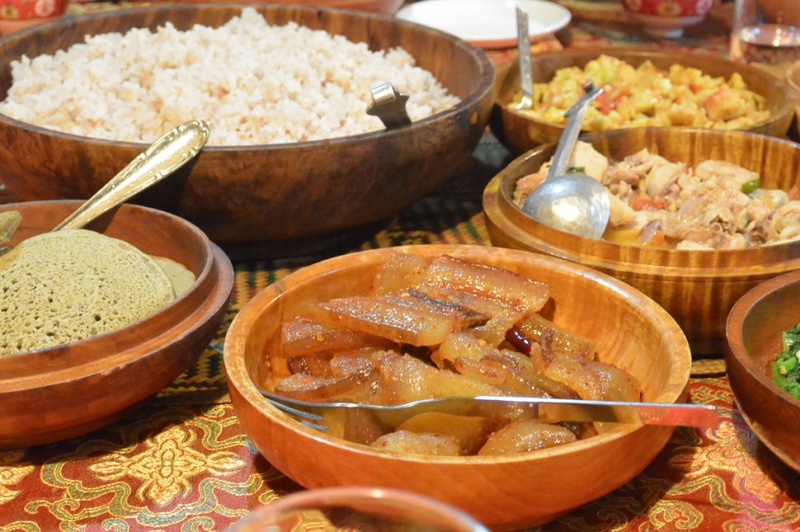 Rich in carbohydrates, the typical Bhutanese dish is rice with curry. It is advisable that visitors stick to the Chinese, Continental or Indian cuisine that is served in most restaurants. Visitors can also choose among the various vegetarian and non-veg food. You can also try out momos, the Tibetan dumplings, and for those daring, you may try out the ema datshi dish served with cheese and chili and other typical Bhutanese dishes.